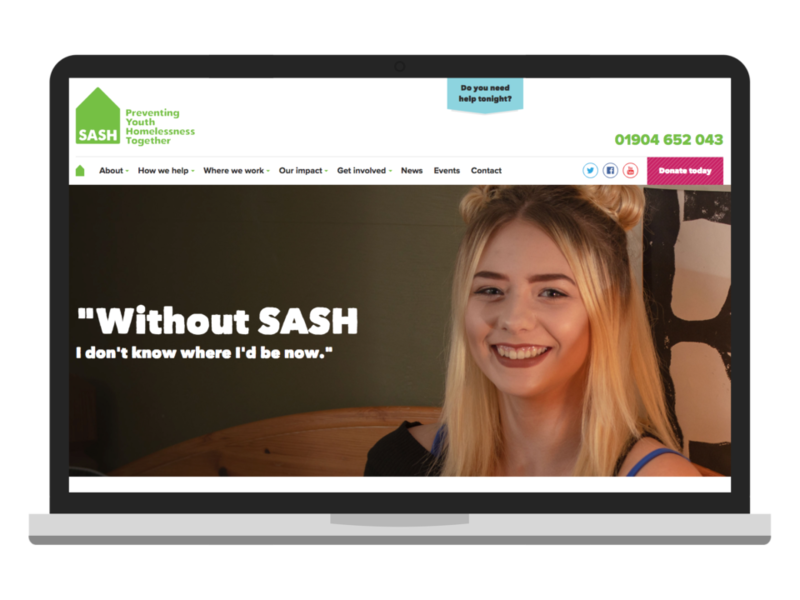 SASH is a York-based charity working to help prevent youth homelessness throughout the North and East of Yorkshire. 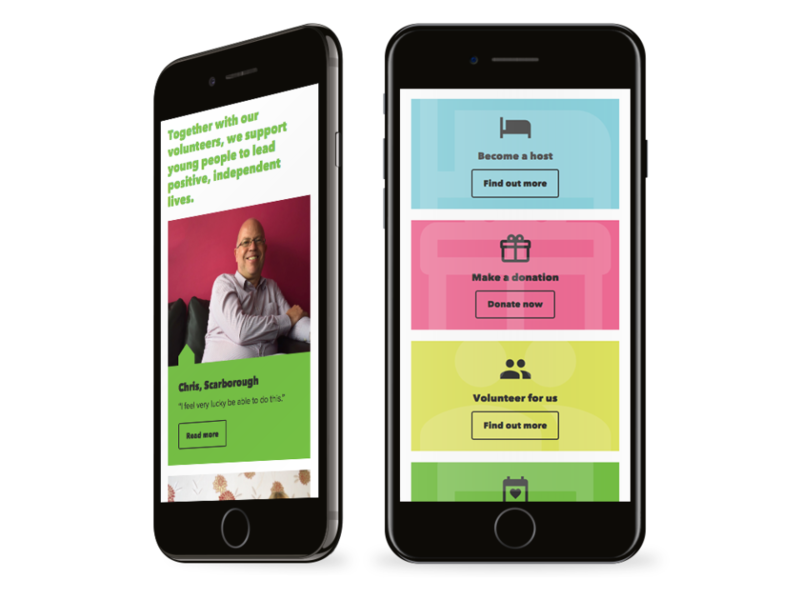 They have a network of volunteers who can provide a room for a young person aged 16-25. Their host network is specially trained to offer support, and help the young people move forward. 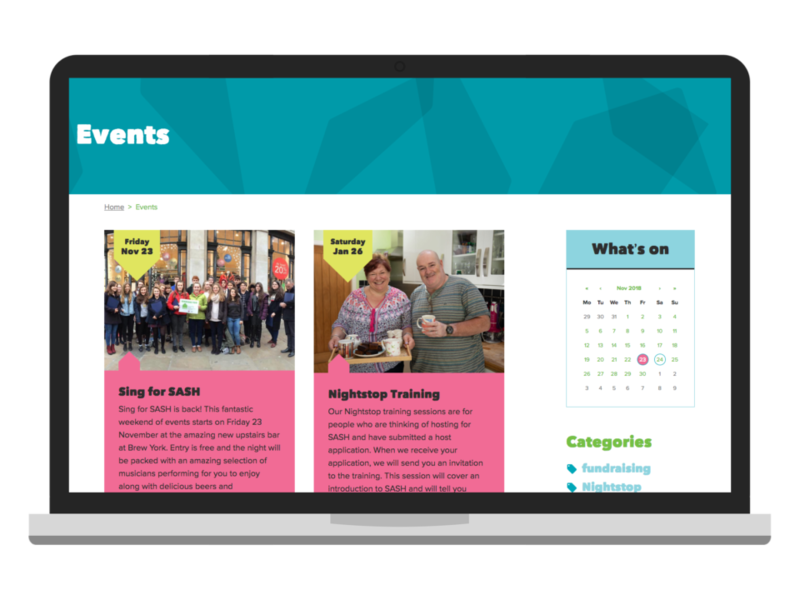 Castlegate was asked to design and build a website that would raise the profile of SASH and provide a platform for them to share information about the great work they do. 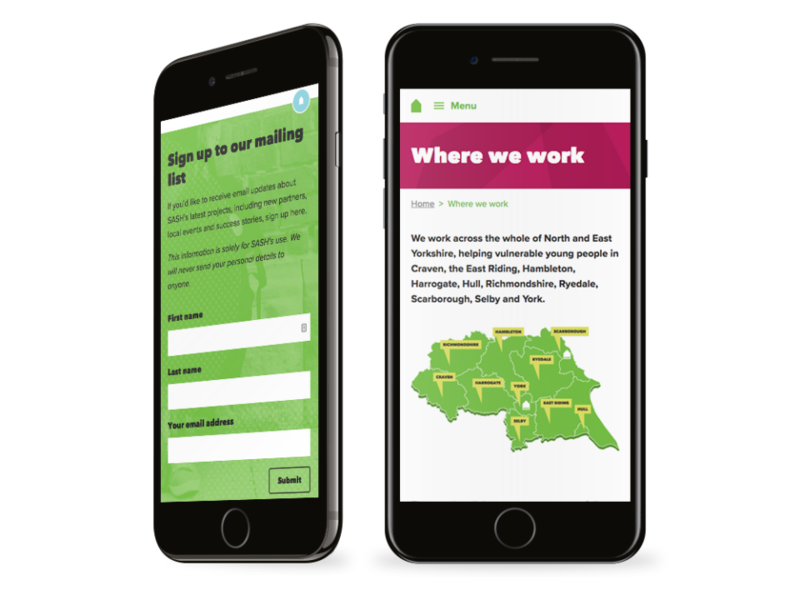 Key aims of the project were to increase user interaction and provide a portal for hosts to log in and easily update their availability. 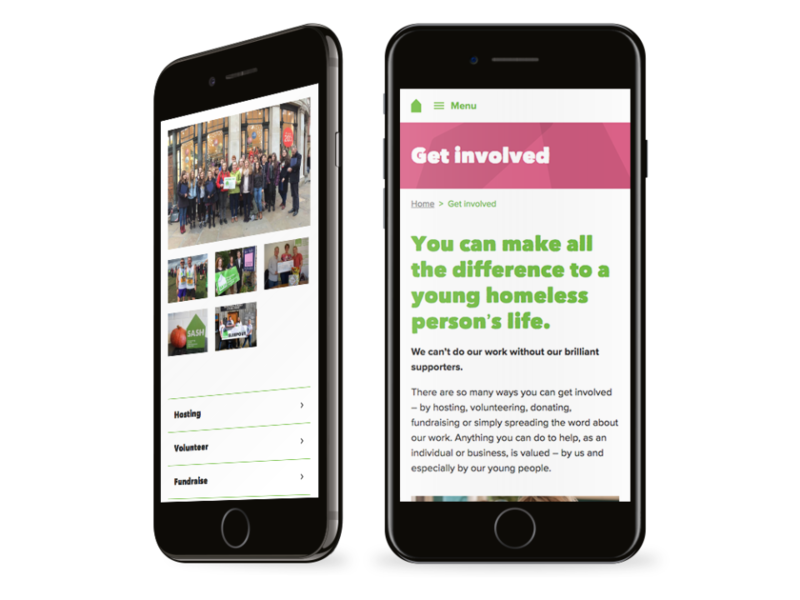 Donations are key to the success of any charity, so it was paramount the website maximises these opportunities. 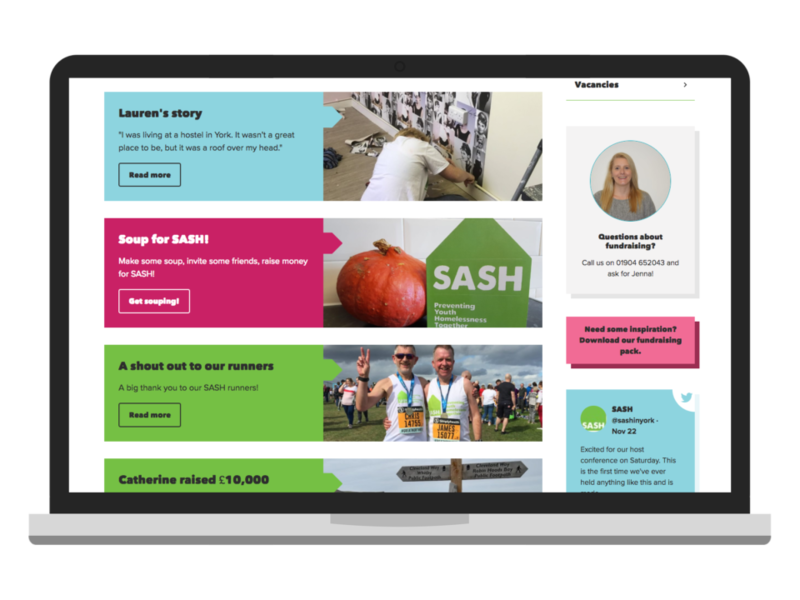 The first step was to create user personas to identify the various target demographics. 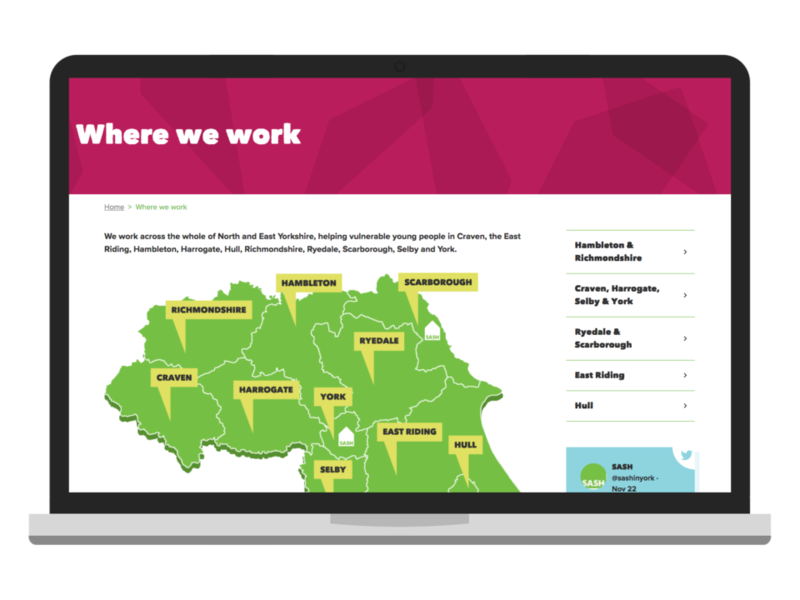 This initial research informed the creative approach and helped produce a website that is fit for purpose and delivers the right content to the right audiences. 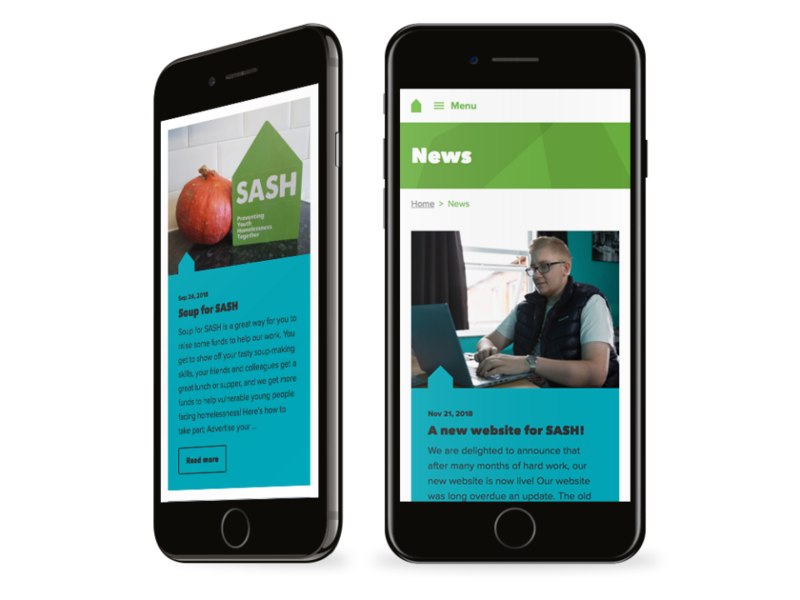 The site is built on the WordPress CMS meaning it is user-friendly and easy to update, both for the SASH team, and their host network who need to log in. 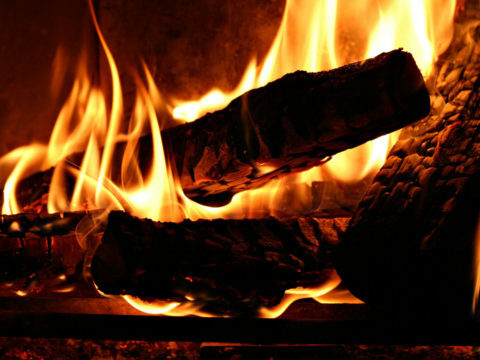 The design and build are totally bespoke, which allowed Castlegate the freedom to craft something unique for a really great local organisation.